Sadly the subject of modern multiplexes' failures is a vast one. It baffles me how big cinema chains have invested so much to upgrade some of their venues with the latest technical and 3D equipments and yet still manage to lose sight of what is the most important aspect of their business: the customer experience. To me, they are chasing more and more money from less and less customers, with overpriced, gimmicky tickets (Vuextreme anybody? Post-converted 3D? Vue "Scene"? VIP seats?). Sure, they are are running a business so they know what they are doing, but with audience numbers dwindling more and more every year, do they, really? 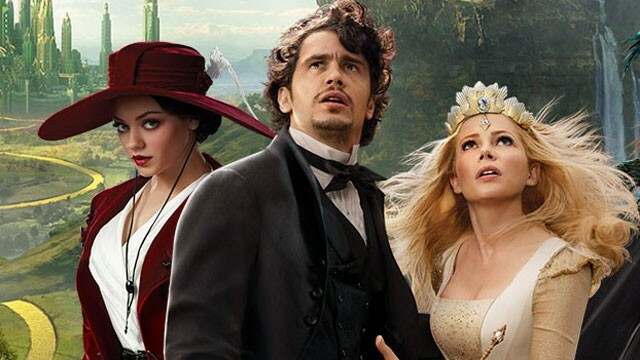 On Friday the 8th of March, as I went to see Oz, The Great And Powerful at the Cineworld Shaftsebury Avenue in the London West End with a friend, for the first screening of the day, I had a painful experience which only served to remind me how multiplexes are just failing us. Unlike some of their newer venues just outside Central London, mutliplexes do not feel the need to refurbish their West End ones. The Odeon West End, the Vue West End and the Cineworld Shaftsbury venue are terrible, dated cinemas, as inspiring as an 80's conference centre (and with a design to match), with poor legroom and a generally grubby feel to them. I went to the cinema in London for the first time in 1992 at the Cineworld Shafesbury Avenue, and I can tell you that this place has not changed much at all since. At the screening of Oz, we soon realised that something was not quite right with the projection. It was not so much noticeable in the opening scenes in black & white, but became terribly apparent as soon as Oz lands in the, well, land of Oz, in glorious colours. The background was incredibly blurry to begin with. And there were some terrible "ghosting" issues which almost made it look like we were watching one of those old school 3D films but without the glasses on. I appreciate that the 3D format does not always handle fast moving images and busy background but I had never noticed that in any other 3D screening, even post-converted films, whereas this was properly shot in 3D. We saw The Texas Chainsaw 3D in this same venue, and while this was actually a post-converted film, the 3D was absolutely fine. I am no technical snob, I don't know the difference between screen ratios etc... but it doesn't take much technical knowledge to see that an image is blurred. My friend went to alert the staff, and one of them came into the screen to see what the problem was, so we were hoping this was going to be fixed. But when nothing happened, we just walked away. We then sought to get a refund, but the staff actually gave us some proper attitude! They would not give us a refund as "the screening had gone on for more than an hour", which was incorrect as they included in this the 30 minutes of adverts and trailers (you know, that thing that doesn't make audience think twice about going to the pictures these days, noooo, not at all). They also claimed that they were nothing wrong with the picture, and strongly hinted that we were being difficult. I do not believe the old adage "the customer is always right", and I actually hate this compensation culture we live in, where whoever shouts the loudest gets whatever they want. I just felt that with such an obvious technical problem, a simple refund was not an unreasonable request, and there were no demands of "compensation" from us. Finally, they settled with offering us 3 complimentary tickets, which we were more than happy with. But while one of the pair we dealt with was rather apologetic at least (even if she refused to acknowledge that we were right to complain), her colleague (whom I assume to be her superior as she had to go and get him when we approached her), proceeded to give us a real attitude, getting very defensive, which was all the more uncalled for as we had accepted their offer of complimentary tickets. So quite why he felt the need to make us feel so uncomfortable and prove his point is beyond belief. So not just a technical failure but a grave lack of customer service skills. And why on earth did nobody else in the audience say anything? Has everybody become so accustomed to poor projections that they do not even notice? As my friend was pointing out, can you imagine any other medium getting away with such technical issues? Can you imagine buying a TV with a technical issue with the image, and having the retailer saying that the problem "comes from you"? Can you imagine an art gallery cropping their paintings at an exhibition? A musical where the sound does not work well? Technical issues do happen, and will happen more and more since cinemas have decided that they no longer need a projectionist. But what made this experience worse was the staff attitude. Cinema used to be a cheap, popular experience, and while I appreciate there are now all sort of reasons why audience are declining (competition from cable channels, dvds, game consoles, the internet...), I still feel they are going completely the wrong way about tackling the problem. 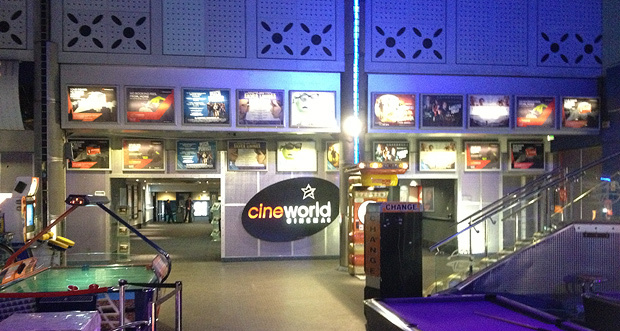 It is all the more disappointing as a chain like Picturehouses is a case study on how to do cinemas properly. With a very wide selection of films which includes arthouse films, and a whole collection of unique venues, old and new but all wonderful, such as The Gate in Notting Hill and the brand new and fantastic Hackney Picturehouses, it shows that it CAN be done. And to be fair with Cineworld, I am a big fan of their newest venues, the one at the O2 in Greenwich (with the insanely big Skyscreen), and the one in West India Quay which has a somehow bolder selection of films. I have written to Cineworld customer service since, making is absolutely clear that I was not seeking any compensation. I just expect a response about the terrible attitude from their staff, and I shall update this post with their answer. As for Oz, well, the 20 minutes I saw of it seemed promising, I am hoping to see it in full - in a different cinema. UPDATE: Cineworld has responded to my e-mail to their customer service department, so I have published it in a subsequent post. I have to say that I had a similar experience although I didn't take any action as I thought it was just me (as the friend I was with didn't think it was that bad) or due to the close position I had at the cinema (Sitting on the firsts rows). The images were ok sometimes and only with the characters, the background was blurry almost all the time... It wasn't any Cineworld but at a Picturehouse!! !